Cori Magnotta has over 20 years of experience in the worlds of pageantry and modeling. She is a former Miss Teen Galaxy, Miss Connecticut Teen, Mrs. Connecticut US of America and Connecticut’s Woman of the Year 2008. She is currently employed as a promotional model and marketing consultant. A few of the brands she has represented include Ford Motors, Heineken USA, and Microsoft. Her favorite title is ‘mommy’ to a 2 year old little boy and wife to her husband of 15 years. Cori serves as a resource and spokesperson for ANAD (The National Association of Anorexia Nervosa and Associated Disorders), which is the longest standing organization aimed at assisting those affected by eating disorder in the United States. She has appeared in numerous magazine and news articles speaking out against the dangers of eating disorders and offering support to those suffering. In 2007, her own eating disorder struggle was featured in Marie Claire Magazine and was syndicated internationally. 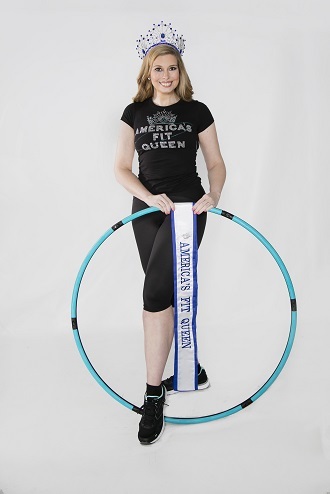 Today, Mrs. Magnotta enjoys reprising her love for hula hooping, a passion that was developed and cultivated as a unique talent choice for teen scholarship pageants. 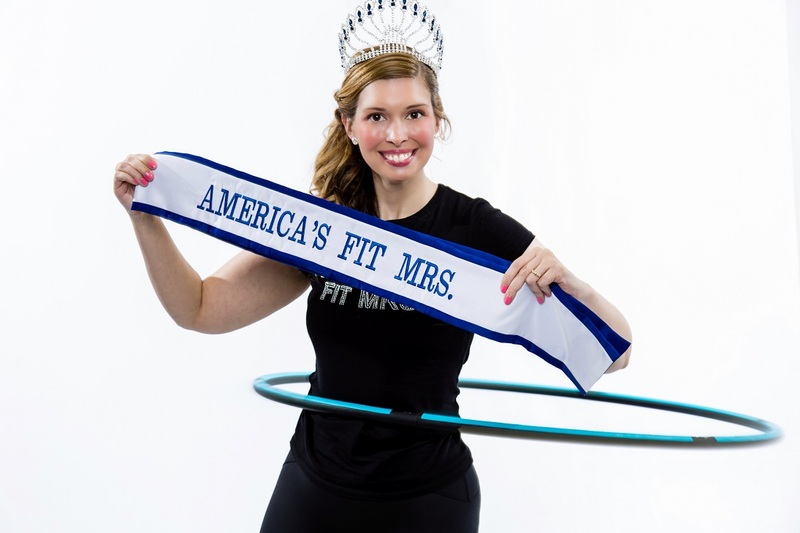 Cori is a certified FXP Hula Hoop Fitness instructor and enjoys helping others hoop their way to fitness while doing a beloved childhood activity. Cori Magnotta looks forward to using the America’s Fit Pageant system to motivate those affected by thyroid disorders to take control of their fitness, as she is one of the nearly 27 million individuals suffering with hypothyroidism in the United States today. Cori is extremely proud to have held the title of America’s Fit Mrs. 2016 and to be the inaugural America’s Fit Queen 2017. The title of America’s Fit Queen is an honor bestowed to an America’s Fit titleholder who particularly made an impact during her reign as America’s Fit Teen, Miss, Ms. Or Mrs. Cori Magnotta looks forward to being the first woman to hold the prestigious title and continue to make a difference in her community. How do I encourage others to live a healthy lifestyle? I also motivate others by sharing my experiences with them. At the age of 12 years old, I was already almost six feet tall. I definitely know what it feels like to look different and not be comfortable in your own skin. A teenage modeling career brought on the pressure to be thin and my battle with anorexia and bulimia began. Anorexia put me in the hospital at the age of 21. I fought long and hard towards recovery and in 2007 I became a resource and spokesperson for ANAD (The National Association of Anorexia Nervosa and Associated Disorders), which is the longest standing organization aimed at assisting those affected by eating disorder in the United States. Sharing current challenges and brainstorming solutions is another way I inspire others to turn trying situations into triumphs. One of my favorite sayings is “When ‘I’ is replaced by ‘we’, even ‘illness’ becomes ‘wellness.’ According to Cedars-Sinai hospital, nearly 27 million people are affected by having an underactive thyroid; I am one of them, suffering from hypothyroidism caused by a pituitary tumor. I hope to use the America’s Fit Miss program as a megaphone to spread the message that even though it may be more challenging, those who suffer from any type of a metabolic disorder can still lead healthy and fit lives! Staying fit is not an easy task for me. In addition to being a busy mom to a 2 year old boy, I suffer from acute Hypothyroidism (a condition which the body lacks sufficient thyroid hormone) caused by a tumor on my pituitary gland. As you may already know, one of the main functions of the thyroid is to control metabolism and energy. When you don’t have enough thyroid hormone, the entire metabolic process slows down, making it much easier to gain weight and having much less energy to work out. My condition motivates me to constantly explore exciting, innovative and most importantly fun ways to work out and stay fit! The first way I stay fit is by putting the ‘hoopla’ in hula-hooping! I am a certified FXP Fitness Instructor. FXP Hula Hoop System is a holistic exercise program that blends cardio hooping and strength training with high intensity interval exercises based on elements of pilates, yoga, and ballet barre. The FXP Hula Hoop is precisely sized and weighted to help users shed pounds, lose inches and sculpt their entire body; all while smiling and doing a beloved childhood activity. The second way I stay fit is by literally jumping for joy! One of my favorite ways to workout is with my Kangoo Jumps rebound boots. The futuristic looking footwear was originally developed for joggers and runners to reduce the impact stress on joints by up to 80 percent. Today, you can find the spring-loaded, aerobic-style dance classes at fitness centers worldwide. You can find me burning up to 1,000 calories an hour 3 times a week at Kangoo Power; an explosive, highly motivating class designed to challenge the entire body, while using rebound boots to prevent damage to the joints. Finally, I stay fit by doing what I love most, playing with and enjoying my 2 year old son. From doing sit-ups with him to chasing him down the street while wearing my Kangoo Jumps boots, he is the best workout partner and motivator I could ever have! Combining our daily ‘workouts’ with eating a nutritious, whole food based diet is how I stay fit!